The magician's code states that a true magician will never reveal the methods behind her tricks and illusions. At IDEO.org we do a bit of design magic, but unlike some pros, we believe that the best design experiences are transparent. Instead of keeping our design process locked away, we open it up to the world. We believe in making design less scary. We’ve seen designers work behind a velvet curtain, providing periodic updates to their partners and the world on what they’ve been up to, but preventing their partners from seeing the full design process until the big, dramatic reveal. Like our friends over at IDEO before us, we’re not so into the big reveal. 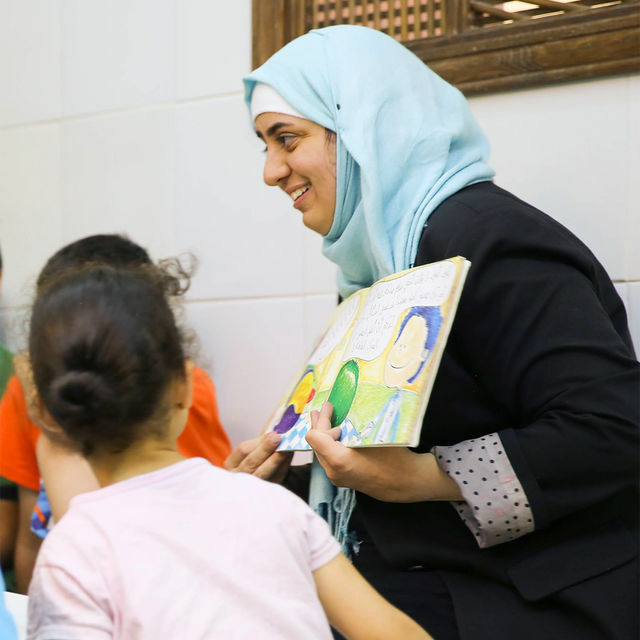 Through IDEO.org’s Amplify program, we recently had the opportunity to work with iACT, an organization that brings affordable early education to children living in refugee camps. 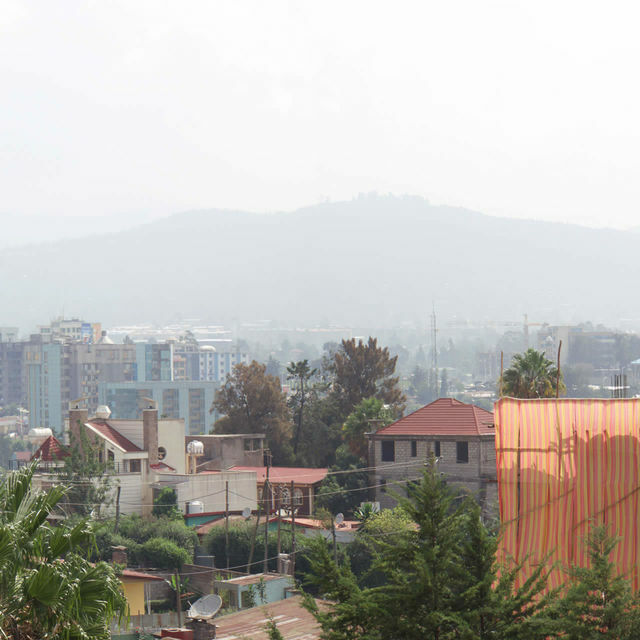 Our month-long collaboration with them focused on helping iACT design a strategy to scale their co-created, refugee-led preschool program to new locations in Africa and beyond. Our first agreement with iACT was to banish the big reveal. We agreed to bring iACT on our design journey from day one. We did this by communicating clearly, offering regular updates across a transparent medium, and designing with tools our partners understood and used everyday. Our team was unable to travel to Chad to work directly with the iACT team, so consistent collaboration was even more crucial than usual. The result: A happy partner and a durable design. 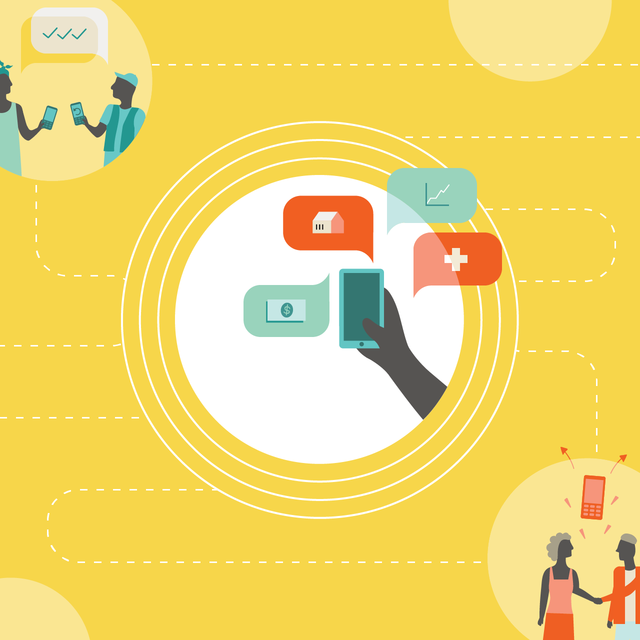 When the IDEO.org team explained that our engagement would be a completely open, transparent process, we knew that the benefits to our team would be exponentially better and would ripple onto our other projects and into the future. Today, our team is stronger because of our work together. Here are a few lessons that we learned along the way. Design, like any other industry, maintains its own dialect, potentially inscrutable terms like “prototype,” “charrette,” and “minimum viable product.” Fast Company even released the cheeky Urban Dictionary Of Design Slang to illuminate the design world’s shadowy lexicon. So, in order to prevent any misunderstandings with iACT, our team banned design jargon. We committed ourselves to clear, understandable language, even if this meant spending time translating from design speak to a shared vocabulary. In addition to adjusting our language, our team agreed to get visual. We found that quick sketches allowed us to explain potential solutions with ease. But getting visual doesn’t just mean putting pen to paper; it means building our ideas as well. 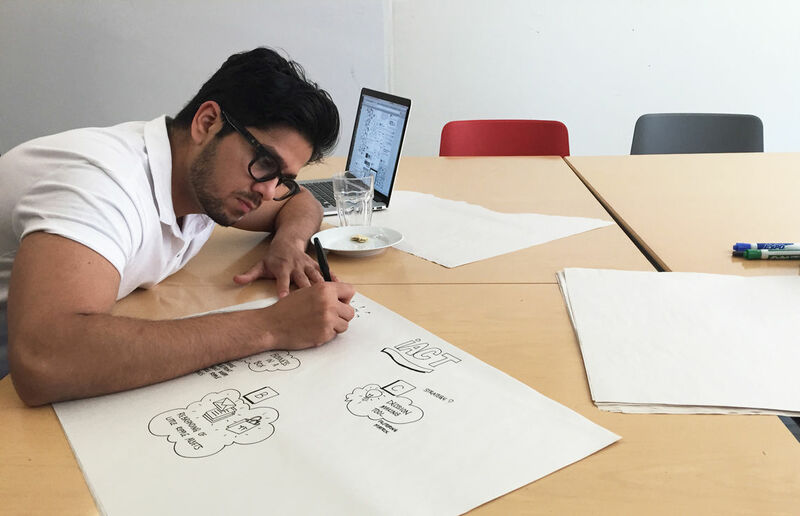 Industrial Designer Gaurav Raut works sketching out ideas that he shared with iAct via the design team's Tumblr. Prototyping can take many forms, from building product mock-ups to acting out a potential user experience. There is a saying from our friends at IDEO that, “If a picture is worth a thousand words, then a prototype is worth a thousand pictures.” On this project, as always, we pushed ourselves to prototype early and often. Prototyping isn’t a solo activity, so we invited iACT to participate in the process. But how do you prototype when your partner is located thousands of miles away? Some might see this as a roadblock. We saw it as an opportunity. Remote prototyping forces you to rely on each other’s expertise. Calling upon their years of field experience, iACT tested out our designs and sent feedback in real-time. They helped us build, think, break, and learn as we moved the project forward. One prototype in particular, a tool created to help iACT make a decision about where to scale its preschool program, proved quite useful. What started as a rough collection of Post-it notes, became a checklist of principles, and then finally an interactive online tool. I am convinced that without bringing our partner along for the full design process—from sketch to prototype to final asset—this tool may have just gathered dust. Perhaps because of the short nature of the project or perhaps because the core iACT team was traveling internationally, we agreed to rethink how we kept in touch. In addition to banishing the big reveal, our team banished the unnecessary email. Our partners are busy people. They don’t necessarily have time to read through and respond to daunting email chains. Realizing this, we decided to prototype a different medium of communication: a Tumblr blog. Though creating a Tumblr site is not rocket science, curating the correct content takes effort. Our team believed that spending an hour everyday updating the blog would pay dividends and serve as a window into IDEO.org’s studio. One post reintroduced the human-centered design process. Another reflected our understanding of iACT’s preschool program. Another highlighted sketches of our initial design. If iACT ever had a questions about why a design decision was made, they simply scrolled through the previous week’s entries. It was transparency with a capital T.
Our goal at IDEO.org is to improve as many lives as possible through design, which means that we need to co-design solutions that will work for both the people we’re designing with (our partner organizations) and the people we are designing for (end users). This often means ditching some tools of the design trade to make our designs as accessible and useful as possible. We work in PowerPoint, use Google Sheets, and adjust our assets to match the capabilities of local print shops—all to ensure our designs remain sustainable. Working with tools and mediums our partners understand is part of our commitment to collaboration. During the iACT project our team developed a service blueprint: basically a big poster that mapped out each component of iACT’s award-winning preschool program. 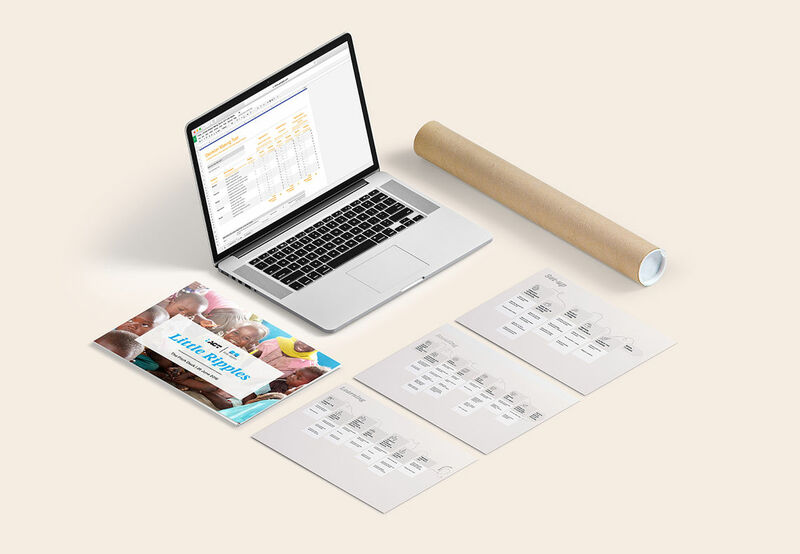 Not only did we create a beautiful blueprint that could hang on the wall at iACT’s headquarters, we designed smaller blueprints that could be distributed and edited by partners working in the field. Nothing breaks down trust like an inaccessible asset designed in a format that requires an expensive tool or deep industry expertise to fix. If we want our partners, and everyday people, to design with us, we have to ensure that they can participate. While working with iAct, our team helped develop a service blueprint as well as several assets iAct can take into the communities it serves. I like to think that our time with iACT demonstrated an ideal way to work together—one where our partners come along on our collaborative design process. We moved beyond work plans and milestones as the moments on which to collaborate. Instead, our team offered a steady diet of digestible nuggets of information. We used pictures, not just words, whenever and wherever we could. We didn’t just deliver our final results but shared our initial concepts on the blog, regardless of how rough these concepts were at the time. We designed in accessible and adaptable formats. We made design approachable. As Katie-Jay Scott, iACT’s chief operating officer told us, “In the end, I knew you were listening because what you produced was exactly what we needed.” The learnings from this project are quite straightforward: speak clearly, communicate creatively, and design flexibly. Design can be scary. But, transparency from day one can dethorn any prickly situation. And so, I propose a new designer’s code: banish the big reveal! I am convinced that doing so creates better, more resilient design.